The transportation sector accounts for nearly half of United State's total energy consumption. With fuel prices continually climbing, those energy costs are cutting into already-strained state budgets. To combat its carbon footprint, the South East Pennsylvania Transit Authority (SEPTA) has outfitted its light-rail trains with regenerative braking technology. That's right: They'll power the system every time they slow down. SEPTA's pilot program along the Market-Frankford and Broad Street lines is designed to absorb the energy generated by slowing trains in five downtown stations and feed it into a 800kW, 400kWh battery at a nearby substation. When a SEPTA train slows as it approaches a station, it uses an electric motor to convert kinetic energy to electrical, and then dumps the excess charge into the overhead third rail. A six-car train can generate as much as three megawatts in 15 seconds of braking. The problem, though, is that unless there is another train ahead of the incoming one already at the station to absorb that charge and accelerate away, the energy in the third rail will quickly dissipate as heat. And, to be fair, even if there is a leading train at the station, roughly half of the generated charge will be lost anyway. Or at least that's how the SEPTA trains used to operate. Rather than simply letting that electricity go to waste, the new generation of "Silverliner V" railcars regenerative-braking train models will instead tap into the third rail. These trains are equipped with battery systems that can reabsorb the overhead electrical energy to charge or transfer any excess power to the Letterly Substation in Kensington. This allows SEPTA to power its trains with the on-board batteries when prices are at their daily peak, reduce load on the metropolitan power grid and even earn the transportation authority some money when the electricity is bid back into power markets. "We are excited about the potential that this program has for SEPTA to achieve significant savings and revenue by capturing the energy created through the operations of their existing trains and leveraging that energy to meet the needs of the electric grid," said Audrey Zibelman, president and CEO of Viridity Energy in a press release. As part of the electric grid, Letterly substation required some modifications to work with the new trains — specifically a massive new battery to collect and store all that regenerated juice. The battery also regulates the amount of charge passing through the overhead lines. 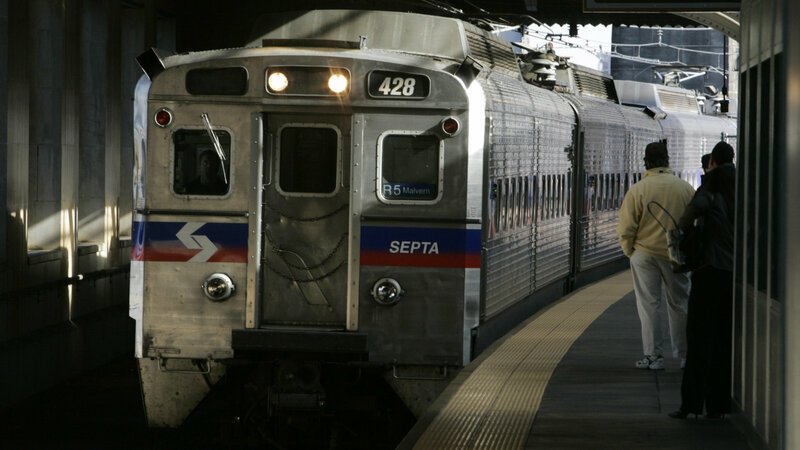 "This project will bolster SEPTA's ongoing efforts to control costs by making the transit system more sustainable," SEPTA General Manager Joseph M. Casey said. "Through this pilot project, we are exploring a new resource that could provide savings and environmental benefits now and for generations to come."